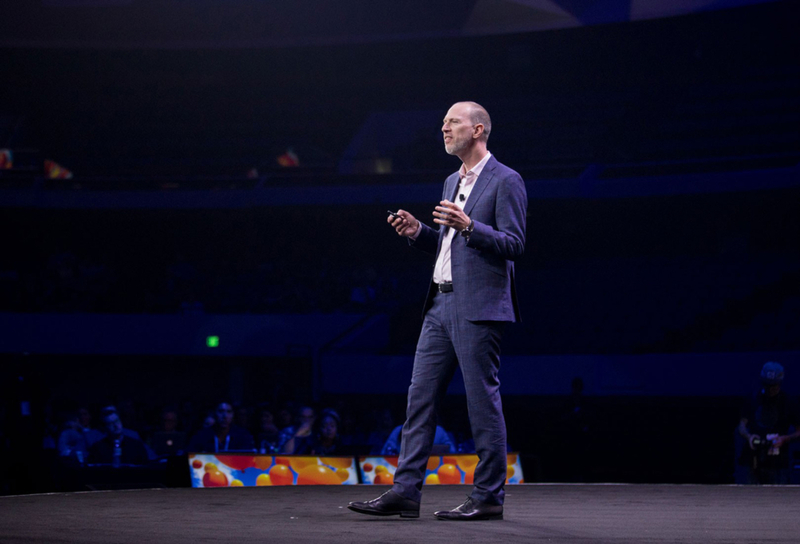 Tim Leberecht is a German-American author, entrepreneur, and consultant, considered one of the most prolific and passionate voices on the humanization of business. 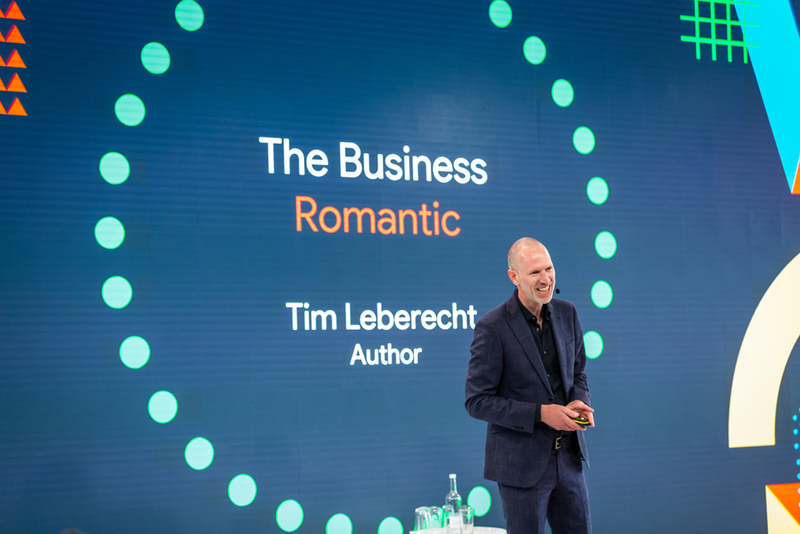 Tim is the author of the book The Business Romantic (HarperCollins, 2015), which has been translated into nine languages to date. Tim’s writing regularly appears in publications such as Harvard Business Review, Entrepreneur, Fast Company, Forbes, Fortune, Inc, Quartz, Psychology Today, and Wired. He has spoken at venues including TED, DLD, LinkedIn Talent Connect, Google Executive Summit, HSM Expo Management, AI Masters, Future Day, The Next Web, Re:publica, Forum de la Haute Horlogerie, Online Marketing Rockstars, New Cities Summit, The Economist Big Rethink, The Conference, SXSW, Thinking Digital, and the World Economic Forum, and at events at Airbus, Daimler, Galp, UPS, DHL, Siemens, Pfizer, Xero, IBM, YPO, Oracle, Cheil, Vitra, Kaercher, Ford, Sky, Silicon Valley Bank, Accenture, Carnegie Mellon, Yale School of Management, SNCF, ADP, Nike, Ambrosetti Group, and many others. 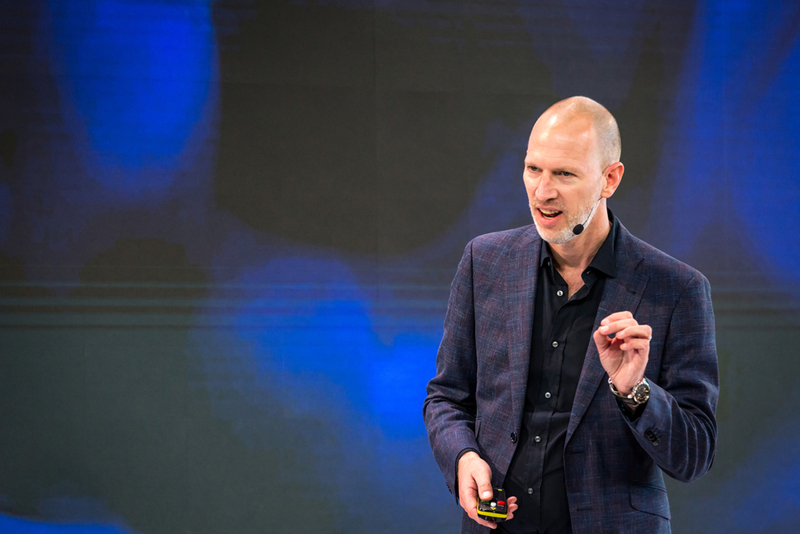 Previously, Tim served as the chief marketing officer of NBBJ, a global design and architecture firm, with clients including Amazon, Google, Samsung, and Tencent. From 2006 to 2013, he was the chief marketing officer of product design and innovation consultancy Frog Design, as well as, from 2011-2013, its parent company, Aricent Group, an IT services firm. Frog became famous for its work with Apple, Disney, GE, and many other Fortune 500 brands, and Tim was instrumental in establishing Frog as one of the most admired creative brands worldwide. 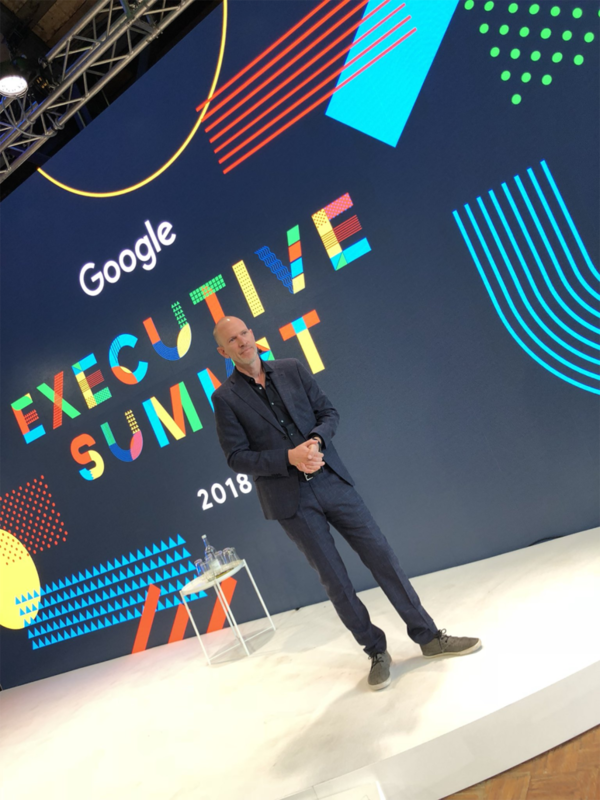 He is the co-founder and CEO of The Business Romantic Society, a consulting firm that helps organizations and leaders and organizations make their strategy, culture, and brand more human in an age of AI and automation. His TED Talks “3 Ways to (Usefully) Lose Control of Your Brand” and most recently “4 Ways to Build a Human Company in the Age of Machines” have been viewed 2.5 million times to date. 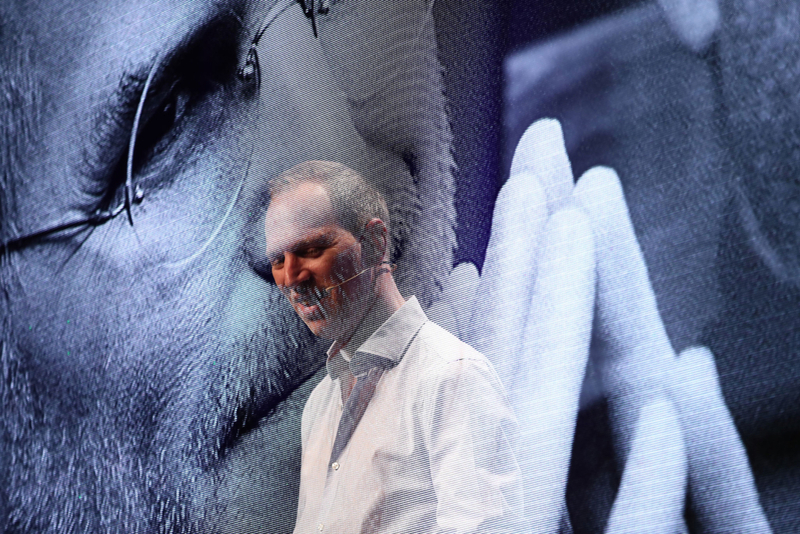 Tim served on the World Economic Forum’s Europe Policy Group and Global Agenda Council on Values. Tim holds a masters’ in applied cultural studies from the University of Luneburg and a Masters’ in communication management from the University of Southern California in Los Angeles. After 14 years in San Francisco, Tim now spends most of his time in Berlin. Romantics, Our Time is Now! In a world of algorithms, Big Data, and Quantified Selves, we are at risk of engineering inherently human qualities out of our lives. Observing an emerging counter-movement, Tim argues that we are shifting from a smart age to a new romantic era in which only organizations comfortable with ambiguity and emotion will thrive. When everything is seamlessly connected, convenient, and predictable, we must find meaning through mystery, friction, and the beauty of the unexpected. When everyone maximizes and optimizes, romance becomes the ultimate differentiator. 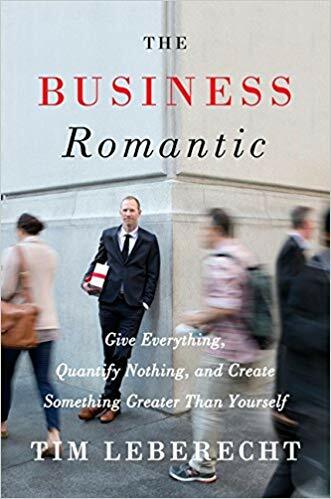 Illustrated through examples that include hermits and secret societies, talking to strangers, and “Thick Days,” Tim proposes three Rules of Enchantment that will help you find and create more meaning in business and create organizations that are truly loved. Half of the human workforce is expected to be replaced by robots and software in the next 20 years. As machines take our jobs and do them more efficiently, soon, the only work left for us humans will be the kind of work that must be done beautifully, rather than efficiently. In fact, to maintain our humanity in this second machine age, we may have no other choice but to create beauty. In this talk, Tim explores beauty as a critical quality for organizations striving to attract and retain the best talent as well as create meaningful relationships with constituents and society at large. 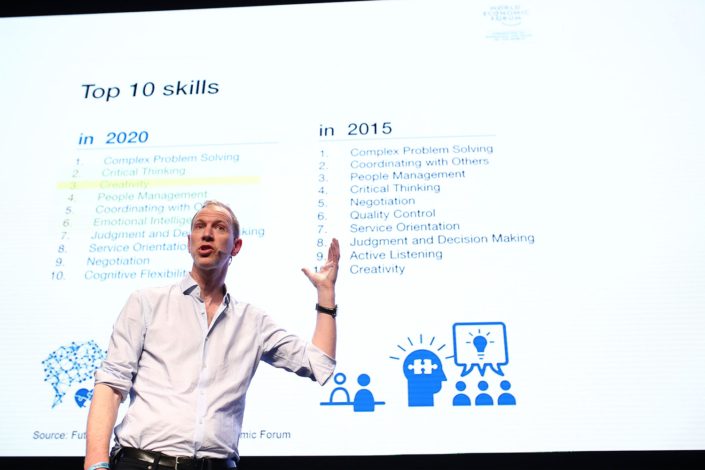 Drawing from the arts and liberal arts, he makes a passionate case for a new radical humanism and proposes six principles that you can use to build more human-centered companies. As algorithms and AI seek to standardize and optimize our interactions, we are seeing a new customer desire for raw emotion and authenticity, for fluid identities and multiple selves that defy the conventions of uniformity and consistency. In this talk, Tim explores what this means for digital identity management: What are the privacy implications? How will customer agency change as AI changes human agency? How can we marry AI and emotional intelligence? How can we use emerging technologies like Blockchain, VR/AR, and conversational user interfaces to design for the “exponential self”? Drawing as much from Tim’s humanist background as well as his 15 years in the design and innovation industry in Silicon Valley, this talk provides a thought-provoking outlook on the future of identity in times of exponential change. Citing several case studies and stories—from Airbnb to Airbus, from Apple, Deutsche Bank, Disney, GE, Lego, Nike, to Soul Cycle—he argues that brands are facing “experiential competitors” from outside their industries, and in order to create long-term customer loyalty, they must create a culture that smartly connects the desires and needs of employees with those of their customers. Do you want more info regarding Tim Leberecht availabilities and fees? 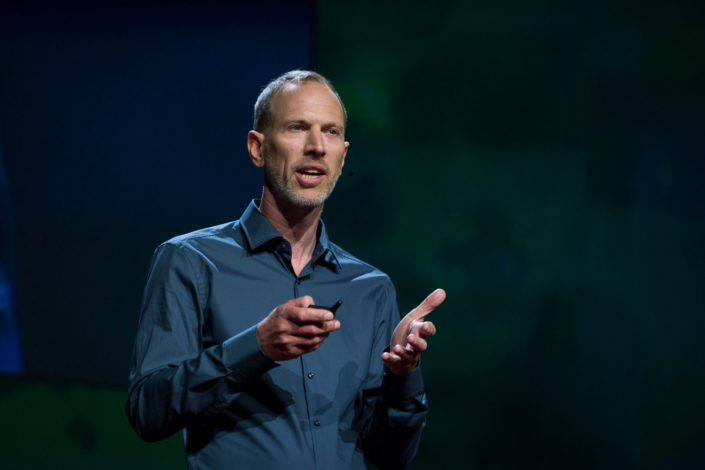 You’d like to invite Tim Leberecht at your event and/or have more information?